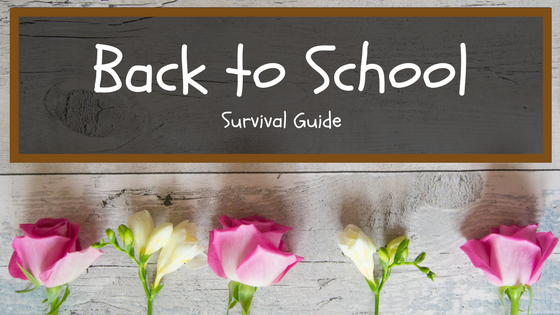 Being a parent is stressful, I think we can all agree on that and one thing riiiiight up there near the top of stressful things is that back to school shop. Have you remembered everything? How is your baby now a fully fledged school pupil? Where is the best place to go for uniform? 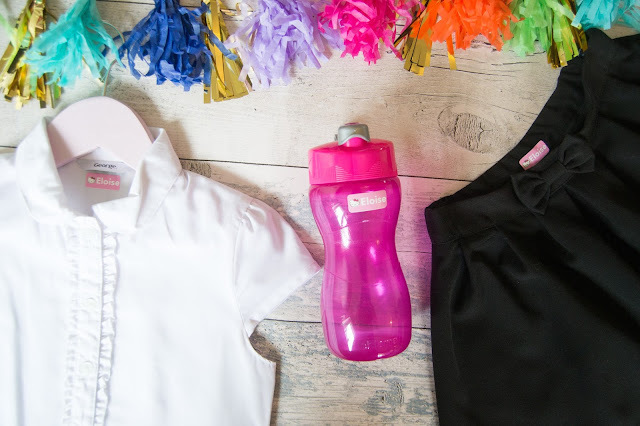 What’s the best drinks bottle? Where can I get name tags that don’t fall off within seconds? Well, I’m here to help! This is my 3rd year of shopping hell and I think I have finally nailed it! For polo shirts, the cheapest I’ve found are Aldi, they are about a quid and lets face it, there is no point buying expensive white things because there is a 100% chance most of it will be trashed by Christmas. For regular shirts I like Asda, they’re reasonably priced and the girls shirts are just nicer. Eloise has a Hello Kitty one from there which she was super pleased with. Plain jumpers and cardigans, any supermarket will have them. We have one from Asda which is over a year old and still kicking. Pinafores, skirts, trousers and shorts are tricky. I found finding these that fitted Eloise when she started school in year 1 so hard because she is so tiny! BHS came up smallest, followed by Next. Asda tend to run quite big, as do Matalan. The nicest quality I’ve found are M&S and Next. Summer dresses I really rate M&S again, they’re prettier and fit nicer and I’ve found they last a hell of a lot longer too. Next come in second followed by Asda. **For summer dresses and pinafores etc, basically the things that don’t stain as easily or aren’t worn for as long check out eBay, charity shops and local selling pages on Facebook. I bought Eloise’s summer dresses for next year second hand and they cost me 99p for three. Shirts and polo shirts probably aren’t worth getting second hand because they get mucky so quickly but children grow so fast that clothes are more often than not, in perfect condition. All of Eloise’s pinafores and summer dresses are in a box waiting for Lily to start school because they were worn for all of 5 second before Eloise grew out of them, most will be third hand by the time Lily gets them and they’re perfect still. Shoes I recommend Startrite. Clarks never had shoes that fit Eloise as she is a H in width and it’s 2 years running now that they’re had literally nothing. Not only that but we bought Startrite shoes last time and they lasted the entire school year (minus 1 week). Eloise has hypermobile joints and femoral anti version so she literally takes the front out of shoes in a matter of minutes but these lasted for a year and came up beautifully with a bit of polish. They probably could have lasted the last week too but there was a hole just starting to appear in the sole so we opted for trainers for the last 4 days. For trainers I always go with Sketchers, they’re the lightest trainers I’ve found and with Eloise’s joints they’re the most comfortable for her. And some of them flash which is what every kid wants. I’ve written wellies down because most schools these days take part in Forest School so wellies are a must for the wetter months (which in the UK, is basically every month). Drinks bottles are a trial and error thing. I don’t buy sports caps after reading those stories about them going mouldy and making kids ill so I always go for the bottle top or open flow ones like Sistema which are sold in most supermarkets. We have tried many, many bottles before but this is the brand I have repurchased from many times now. The one in the photo cost £3 from Asda, we also have a couple of their Trio bottles which are fantastic and easy to clean. The top screws off just like a bottle and then it screws off further down to create a cup. This one might be a little tricky for Reception age littles so you might be better sticking to the other one but for older children this one is great. The open tops mean that there are no hidden parts that can harbour mould and other nasties. I cold water sterilise them every couple of weeks too or after an illness to make sure they’re extra clean and get rid of that old squash smell plastic seems to get. Name Tags you’re going to want to go with mynametags. They are by far the best labels I’ve used and are still firmly stuck nearly 2 years later. These Hello Kitty Name Tags* above are this years name tags! How cute are they?! Cereal and toast are your friends, dig out the Coco Pops, Frosties and Nutella if you have to because they will have their sugar rush in the playground with any luck. If you’re in a rush, cereal in a sandwich bag in the car still counts as breakfast. Do a test run before if this is your first year, that way you won’t be late or ridiculously early on the actual day. Take into account that there will be slightly more traffic on an actual school day though but timing how long it takes to get you all ready and out before 9am will help you judge accurately what time you need to drag yourself out of bed. Check everything fits, this way you will figure out what you have forgotten and what needs replacing. Also check your child can get their uniforms on and off because most schools will require then to get changed in and out of their PE kits themselves. This is where polo shirts and skirts or trousers come in handy. Buy more tights and socks than you think you need. Kids fall over a lot and the tights will be full of holes pretty quickly. Having back ups saves last minute uniform dashes. Socks also get eaten by the sock monster. You will never see him, but he is definitely there. Talk to your child and work through any worries they may have about starting school, role playing is a great way to do this. Don’t forget to stick name tags on everything if you don’t want it going missing in 0.5 seconds. 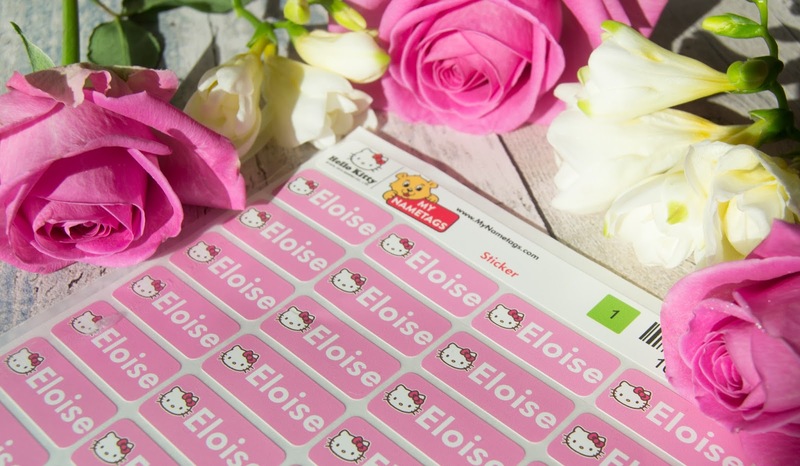 Enter my giveaway to win some awesome stick on labels which survive anything! Head on over to twitter for the instructions on how to enter! But hurry! You only have until 12pm on Monday 28th August to enter! Draw a heart on your child’s hand and one on yours, when my daughter was going through a rough patch at school I did this and told her that every time she felt worried or scared to look at her hand and know that I was always thinking of her and giving her my strength if she needed it and we may be apart for now but we are connected by our hearts. Write a little note in their lunch or if they can’t read quite yet a little heart will do just as well. Get them a worry doll. I was an incredibly anxious child and I remember having these. You take a doll and tell it your worry, pop it under your pillow as you sleep and the worry will go away. Set your alarm!!!! Don’t forget this one unless you have nocturnal small children. Although even they will probably decide to have a lie in if you actually need to be up early. Iron the uniform that has probably gotten creased by now. If you’re little one is having a packed lunch then make and pack it all up the night before and popping it in the fridge will save you so much time in the morning. Once you’ve got the hang of everything and functioning throughout your new routine on no sleep becomes almost robotic then leaving it until the morning will be less of a disaster whilst constantly asking your kid to put their bloody shoes on for the 56,000,000th time. Ice pops act as ice blocks if you’ve forgotten to buy them. 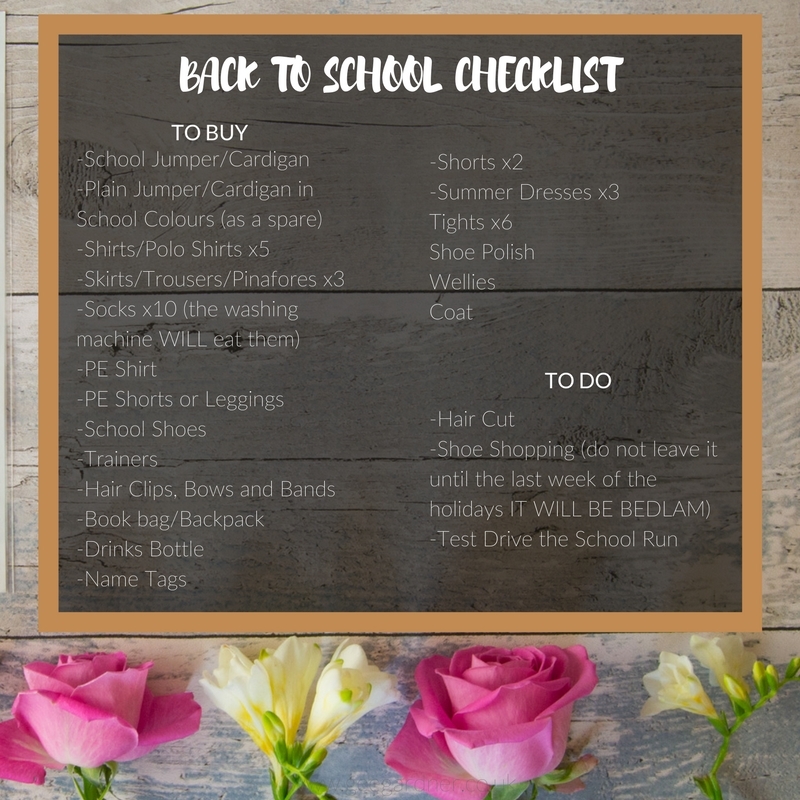 Pack anything they will need into the book bag or backpack. There probably won’t be a lot on the first day but taking it is a must because they will more than likely come back with about 10 tonne of forms and other super fun paperwork. Take a photo. Your future self will thank you. They grow up so quickly and adopting this tradition will give you and your child something incredibly special to look back on. Book bag, PE Kit, Lunch Box? Don’t forget the kid. Don’t forget your other kids. Take tissues with your because lets face it, you know you’re going to cry. 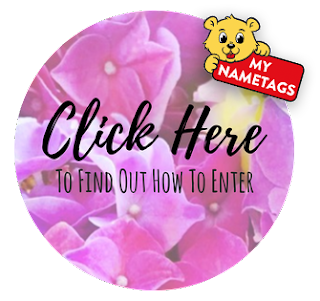 I am currently holding a giveaway over on Twitter with My Nametags giving you a chance to win a set of name tags worth over £11! *I was sent these name tags but all opinions are my own, as always. "WHAT MY TODDLER ATE TUESDAY [22/08/2017]"
"10 BABY NAMES I LOVE BUT WON’T BE USING…MAYBE"
Some great tips here. I've never tried Asda uniform as we don't have one nearbis but have heard great reports. We usually go for M&S. with you on startrite too as clarks are useless for my teobwith widevfwet and skinny ankles. Can't believe it is nearly time to go back to school! 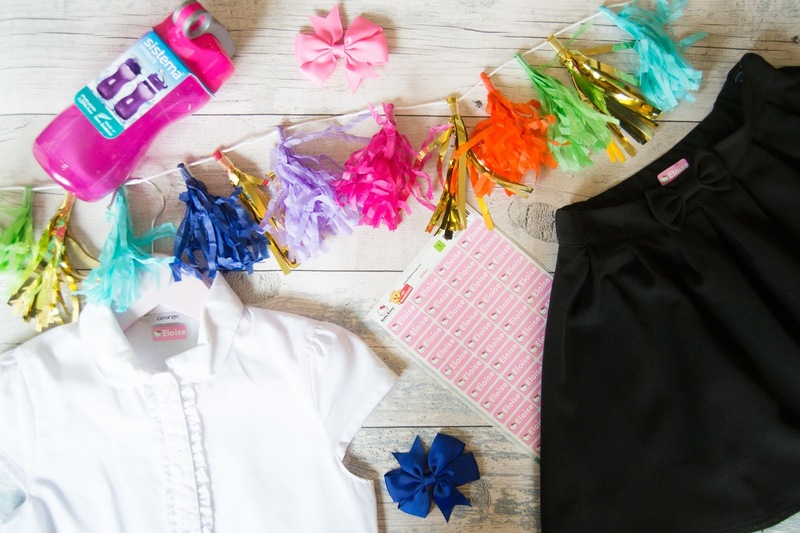 What a great post – I am actually looking for a similar post for my girl starting nursery. Some greasy advice there. I'm definitely borrowing your checklist.